whenever i send text messages my outbox always indicate "system: not enough memory. close some applications and try again" it always shows and i don't know how to fix it. i cannot send any outgoing messages. please can someone help me? Hi.At present i am using a 128MB MMC card.How much maximum memory card can i use with my 9300.
hi guys! just wanna ask if this phone was really useful and user friendly? Thanks. gush_77@hotmail.com, 13 Nov 2008Hi, I am using 128MB memory card can i change it to 1GB or more what are the different sof... morei've used 1GB MMC, more capacity for mp3/video files & no problem at all. will the US model will work in asia as well? please help. 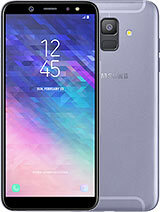 it's one of the best cellphones ever made if you are into this type of phones, durable, nice features, what i have not found yet is how much can i expand the memory. whenever i send text messages my outbox always indicate "system: not enough memory. close some applications and try again" it always shows and i dont know howto fix it. i cannot send any outgoing messages. please can someone or anybody knows how will i fix this? i have been using this phone since 2 years , i think its the best phone. ya if one wants only music and videos this is not for him. 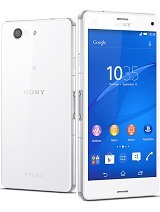 this is a smart phone which have all the features. i have a question , how to make this phone show videos in the full screen. do i need a software for that. please help? Yes of corse you can use 1GB Memmori card in this phone(for 1GB I'm sure, but I'm not sure for 2 GB)however I think that 1GB is better than 128 MB!!!! This Communicator is the best Communicator in the world......onli E90 is better!!!! Total of 728 user reviews and opinions for Nokia 9300.